Magento 2 Automatic Related Products (ARP) is a tool that helps admins establish links between new products easily. In brief, ARP is a recommendation tool, similar to Who Bought This Also Bought or Frequently Bought Together, but more additional outstanding features, and give more rules as well as managements in the backend. In the Enable Automatic Related Products field, choose “Yes” to enable the extension. This popup will take the information of the first product in the block ARP product list. 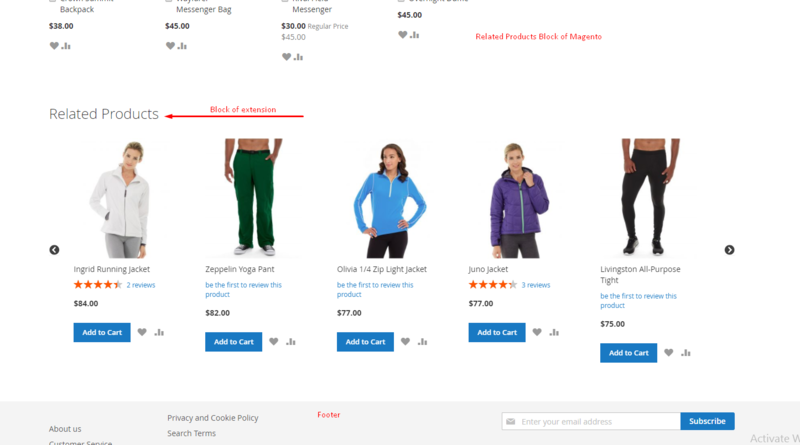 This section allows you to install the Related Product Block in your desired Product Page. 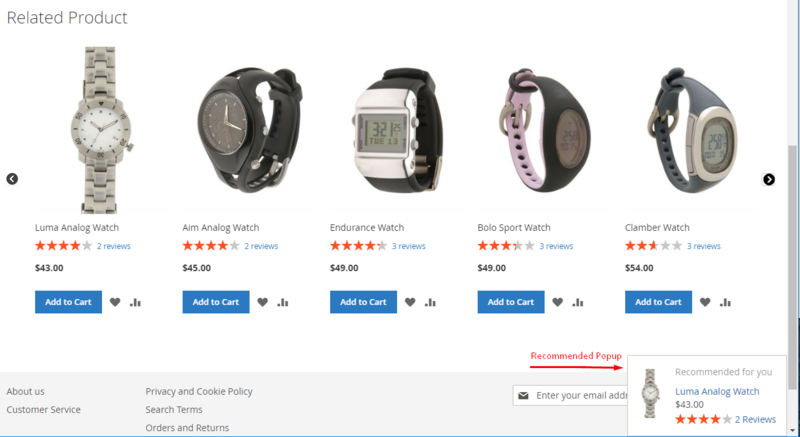 Product pages that meet this rule, the Related Product Block will be displayed. A New Related Block Rule form will be appeared. Rule Name field is where you name the rule. The rule name will be displayed on the Grid in Manage Rules Page and visible only with admins. This is a required field so there will be an error message if you leave it blank. Priority won’t impede the application of multiple rules on a product page. Higher priority blocks will be ordered first. In case there are multiple rules with the same priority, the rule with smaller ID will be applied. After saving the conditions, you can get a Product List. Click on Preview Product to display the products that meet the conditions. After saving the conditions, you’ll get a Product List. Click on Preview Product to display the products that meet the conditions. The Block name field is where you can name the block which is displayed in the frontend. If you don’t want to have it named, leave it blank. 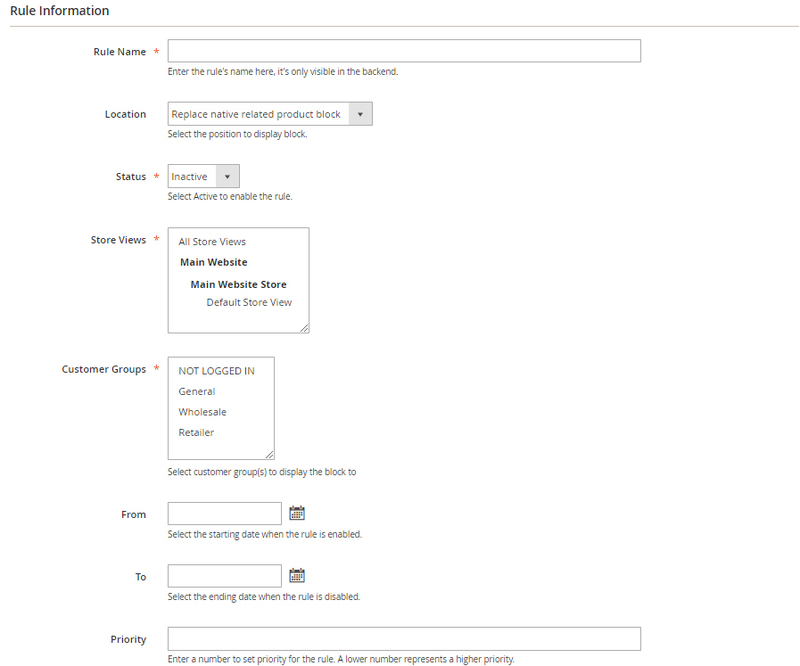 In the Display “Out-of-stock” products field: select “No” to not display Out-of-Stock products in the Auto Related Product block. Bestseller: more purchased products will be displayed first. In the Display additional information field: choose additional information or/and buttons displayed under products in the block, include Price, Review Information, Add to Cart, Add to WishList, Add to Compare buttons. 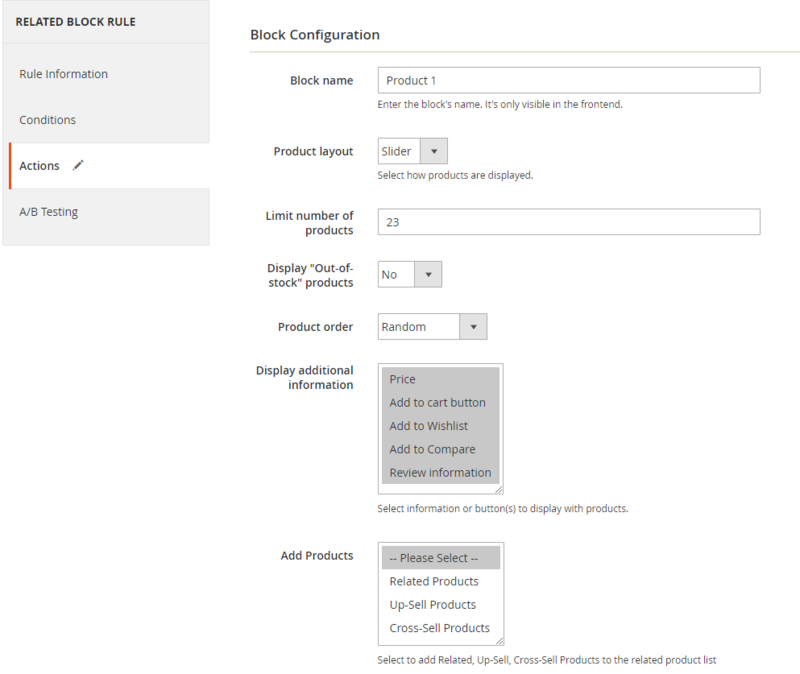 Each of product page can have different related product blocks which you can configure them in here. After a parent rule (an original rule) is generated, a child rule can be created by clicking Add A/B Testing.You can edit the this child rule in the same way to set up parent rules. 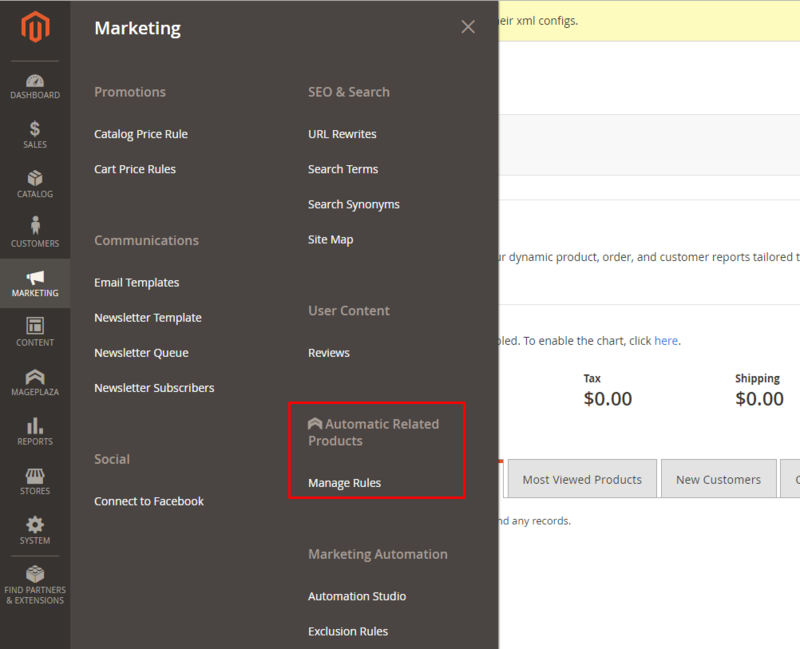 When two rules are simultaneously active, these two rules will be applied alternately in Product Page. After the A/B Testing Rule is created, the Statistic section will be changed to sum up the views, clicks, and CTR rates of two rules. Headings in the Rule Category Page are quite similar to the Rule Product Page, we will only point different places out for you in this guide. Unfortunately, this Location=Custom function is under a maintainance for fixing so please we don't recommend you use this option. 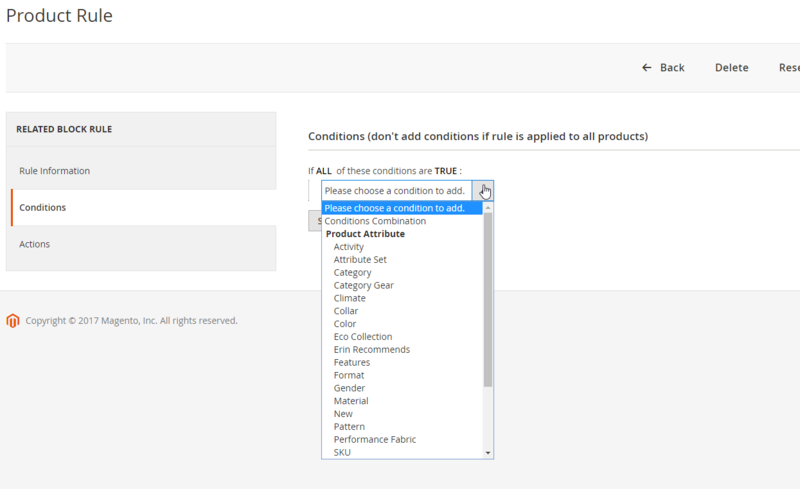 By Conditions, you can select the Category Page you want the Rule to be applied to, you cannot select as many conditions as the Product Page. 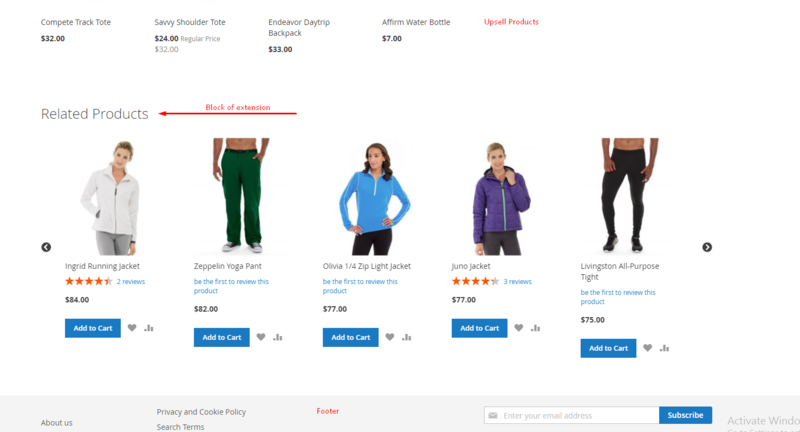 Action Page of Category Rule doesn’t have Add Product item as in Product Page Rule. For the rest, it’s similar to Action section of Product Page. Click here to refer. Completely Similar to A/B Testing of the Product Page. Click here to refer. 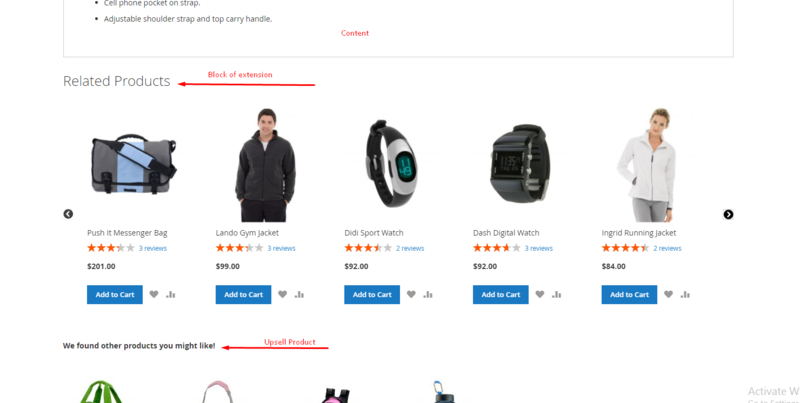 This section allows you to install the Related Product Block in your desired View Cart Page. 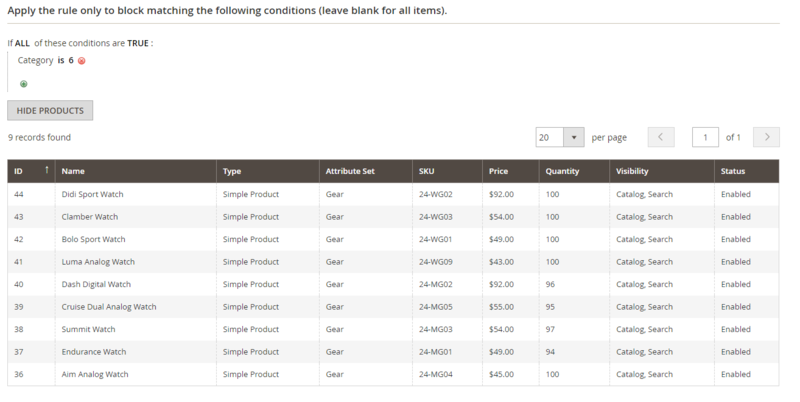 When the View Cart Page fulfills the Rule, the Related Product Block will be displayed in the selected position. 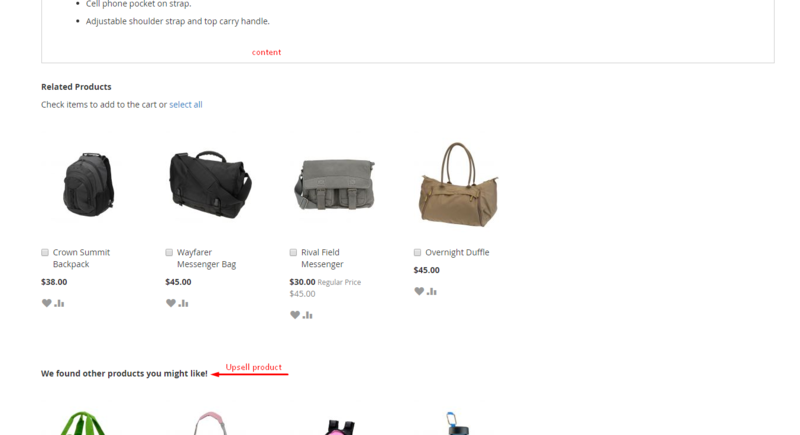 Headings in the Rule Shopping Page are quite similar to the Rule Product Page. Before cross product: The Related Product Block is displayed at the top of the Cross Product Block of the View Cart Page. 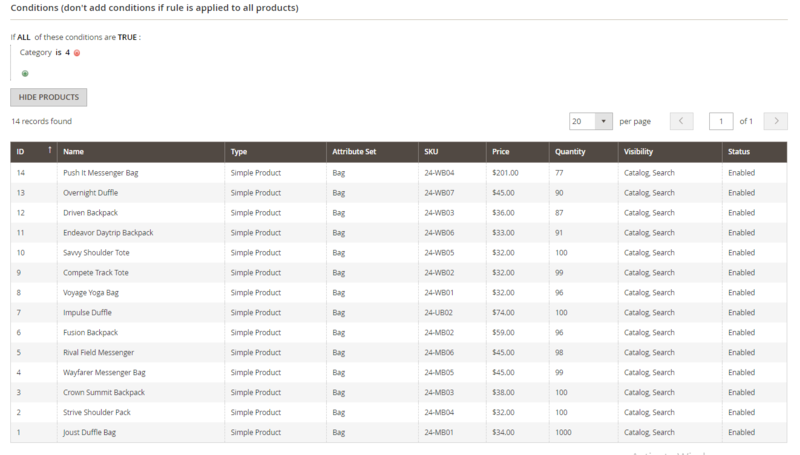 After cross products: The related Product Block is displayed under the Cross Product Block of View Cart Page. Custom: You can select the block’s display location in any position. There will be a specific guide for this section at the end of this user guide. 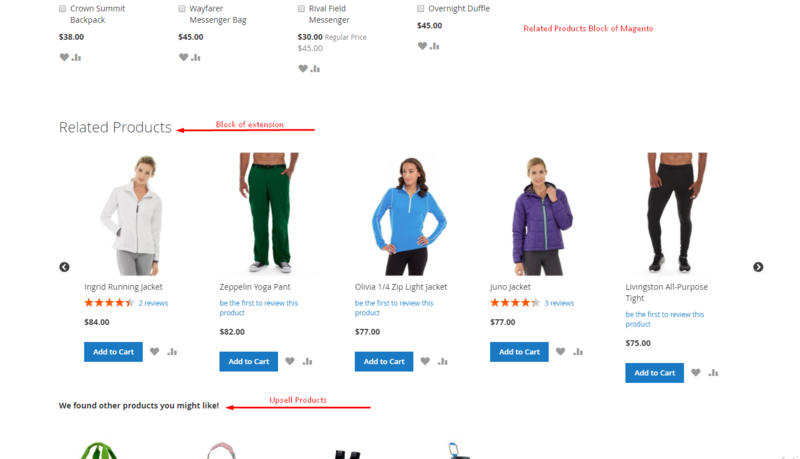 Action Page of Shopping Cart Page Rule doesn’t have Add Product as in Product Page Rule. For the rest, it’s similar to Action section of Product Page. lick here to refer.